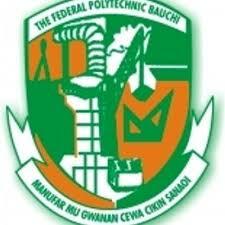 Federal Polytechnic, Bauchi (FPTB) Full Time National Diploma [ND] Post-UTME Admission Screening and Validation of Credential Exercise for 2018/2019 Academic Session. Eligibility and Application Guidelines. This is to inform the general public that the sales of Application form for admission into various National Diploma (ND) programmes in the Federal Polytechnic, Bauchi (FPTB) has commenced for 2018/2019 academic session..